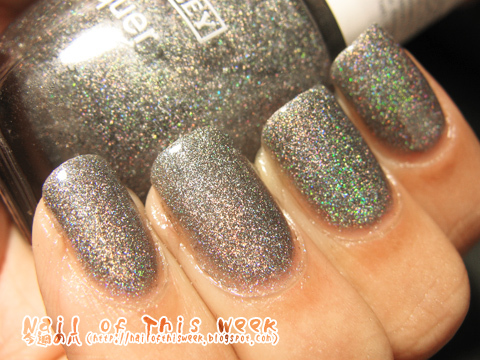 Holothon #16: Catherine Arley #667 : Nail of This Week. Well unfortunately my camera couldn’t capture such a nice rainbow at all, but yes it’s really nice scattering holo IRL! So 16th color was Catherine Arley #667. Looks like scattering gunmetal gray, but nevertheless it’s definitely a scattering holo. 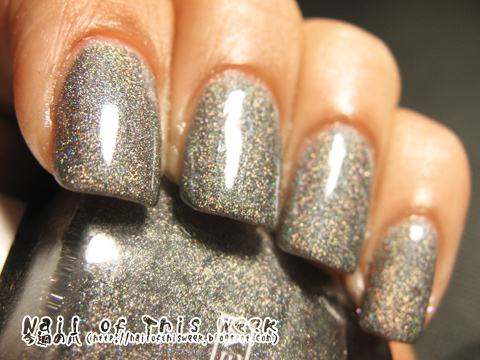 Really nice rainbow color, one of my fav holo gray! I like this color. Not a very common holo color. We see many dark/light grays but not middle gray, right?